Carriers and shippers of temperature-controlled cargo operate in an increasingly tough compliance environment, as governments and producers in the U.S. and around the world seek to safeguard people from the risks of contaminated, spoiled and counterfeit goods. 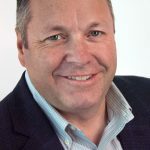 Helping our transportation clients meet these demands continues to be a top priority for us at ORBCOMM, and this month we’re sharing our expertise on these issues in a couple of different ways. First, you can visit us in person, Oct. 17 – 19 at the IFDA Distribution Solutions Conference in Tampa, Florida (ORBCOMM booth 241) to discover the latest news regarding FSMA compliance and our cold chain management solution. Be sure to follow @ORBCOMM_Inc, @IFDA and hashtag #IFDADSC on Twitter for the latest updates from the show floor. 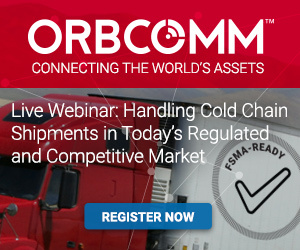 To learn more about our transportation telematics solutions, visit http://www.orbcomm.com/en/industries/transportation-and-distribution and, as always, feel free to contact us to discuss dry van and cold chain management technology.